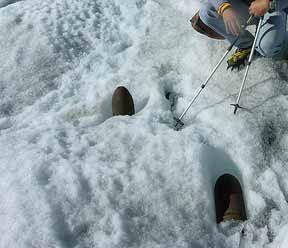 Trentino, Italy Explorers surveying a glacier on the Ago de Nardis peak, altitude 3,200 meters, uncovered 85 pieces of UXO exposed from a recent heat wave. The Finance Police Alpine rescue unit responded to the reports of rusted metal objects piercing through the ice. The UXO was reportedly from WWI left over from a series of battles fought between the armies of Austria-Hungary and Italy between 1915 and 1918.